The Women's PhD Outdoor Light Crew Socks are designed for a woman's (more narrow) foot and knit with lightweight Merino-based Indestructawool. Indestractuwool is specifically engenieered to stand the test of time. SmartWool's Indestructawool PhD socks promise to be not only extremely durable, but also promise a great, long-lasting fit. The Women's Outdoor Light Crew socks has minimalist cushioning for protection without bulk and a flat knit, high burst toe seam for no-fuss, quality durability and comfort. 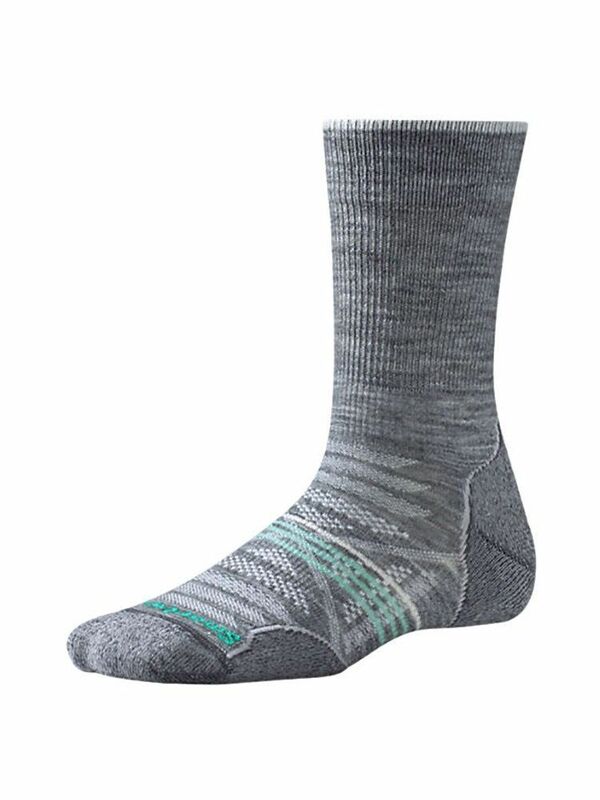 SmartWool's PhD Outdoor Light Crew socks for Women are made in the USA and are washer and dryer friendly.